Cleo is a sweet and sassy little girl! She was found in the grass in DECEMBER at three weeks old. She was raised as a bottle baby, and loooooooooooves people! She gets along brilliantly with other cats, and loves the kids she's fostered with. If you have toys, she's your girl! 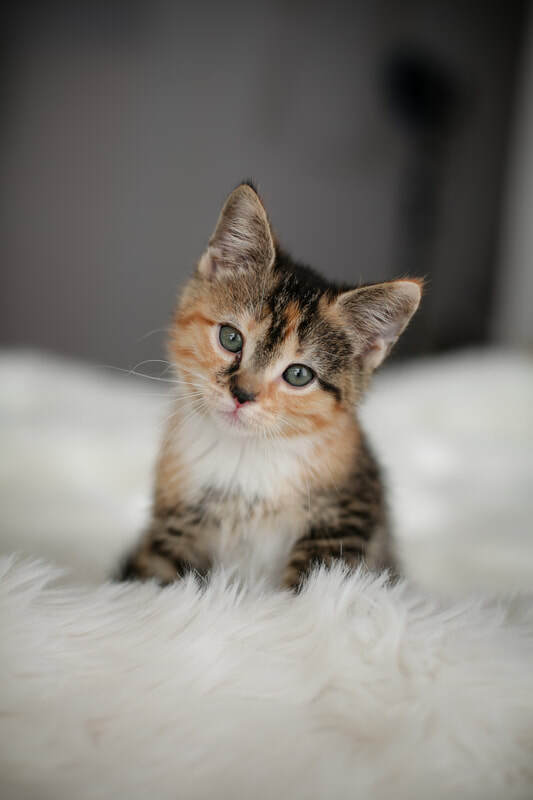 Cleo is one of the sweetest and most playful kittens in her whole litter! If you need a cuddle-bug with a silly streak, Cleo is the girl for you!